60 pp A5 stapled booklet Card cover. As well as being of great significance to local historians it also tells us a lot about how air warfare and the defence of the UK developed during WW1. After a two page introduction there are entries for 26 'events' between May 1915 and August 1917 plus a summary of the Gotha bomber raids of summer 1917. WW1 heralded the beginning of air warfare, so all aspects were experimental in nature, neither the population or the armed forces knew what to expect. For the first time England was both bombed from the air and shelled from the sea. The speed and ferocity of the response in this the closest part to Europe had a considerable deterrent effect on this form of attack. Due to the limited range of aircraft of this period the South East suffered disproportionably from the bombing. Personally I feel that this document illustrates exactly what I am trying to achieve with my local history publications. When Ramsgate library burnt down the vulnerability of our local history became abundantly clear, so I decided that I would try to make as much of what was destroyed by the fire, or what one would expect to find in a Thanet history archive available in a reasonably cheap and sustainable way. 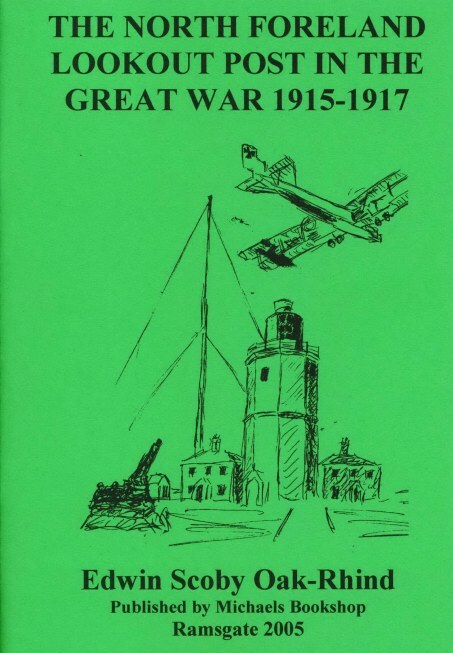 This is my 20th publication so far I am acutely aware that had the original come to light earlier it could well have been donated to Ramsgate Library and therefore lost for ever.